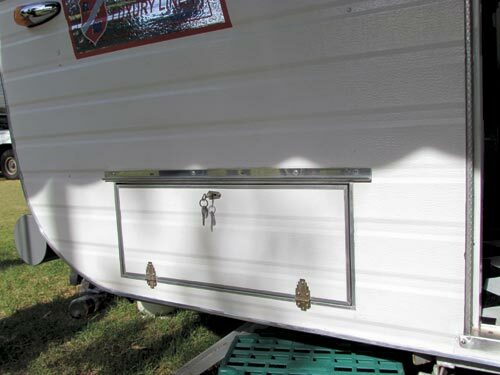 When Mark and Tracey Jones bought this caravan a few years ago, Mark was working for Larry Weepers who owns the Roadmaster Caravans business in Adelaide, SA. 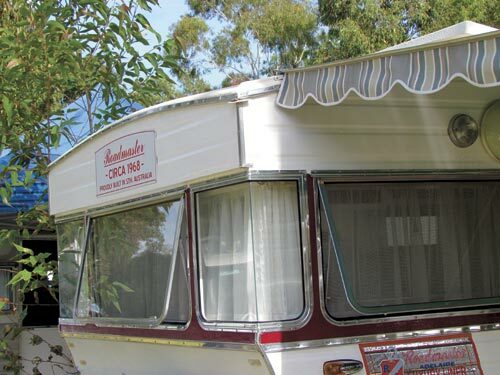 Roadmaster Caravans are pretty unique in the Australian caravan industry, since the brand has an unbroken history from the late 1940s until now. Larry inherited the business from his father Horace who had bought the business from Dean Mordaunt in 1968. 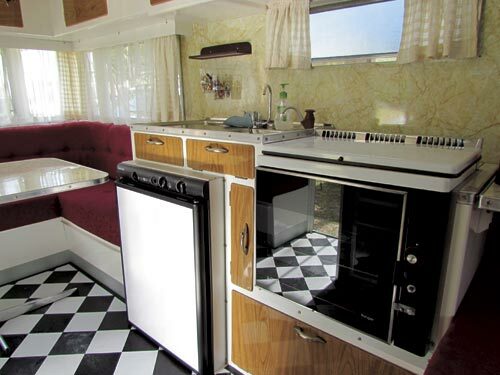 Tracy and Mark Jones are proud owners of this vintage 1968 Roadmaster Luxury Liner. 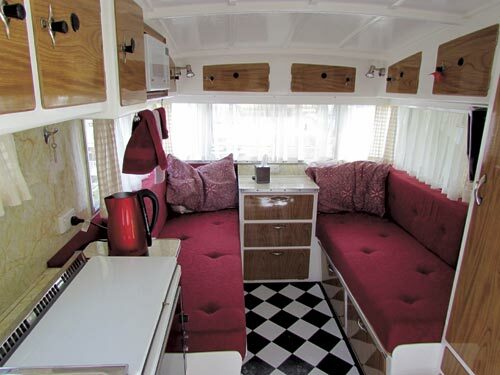 Larry and his team at Roadmaster have restored several old caravans from the brand’s heyday in the 1950s and 60s, and Mark was able to tap into their know-how when he acquired this caravan. 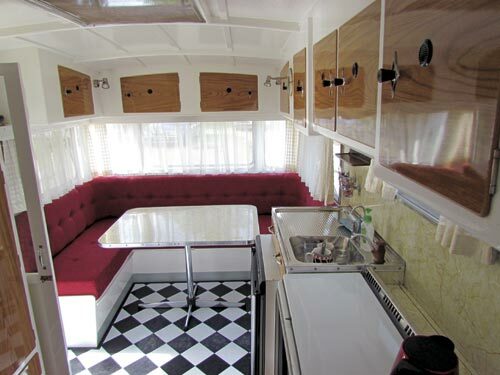 In fact, it wasn’t such a difficult task to renovate the caravan, because it had only had one previous owner and had been very well looked after. 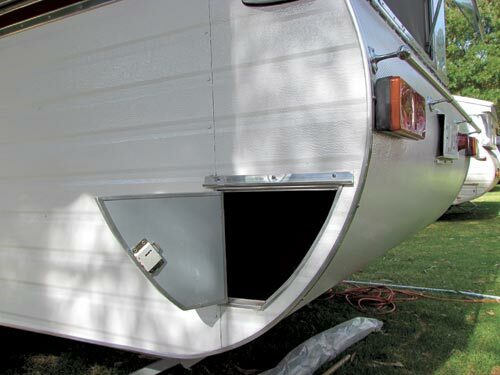 The exterior was in very good condition and Mark only had to paint the interior. The exterior was originally silver aluminium with a coloured flash and the first owner had changed the colour of the flash over time to match different tow vehicles. Most recently, he had painted the exterior white with a maroon flash to match another tow car. 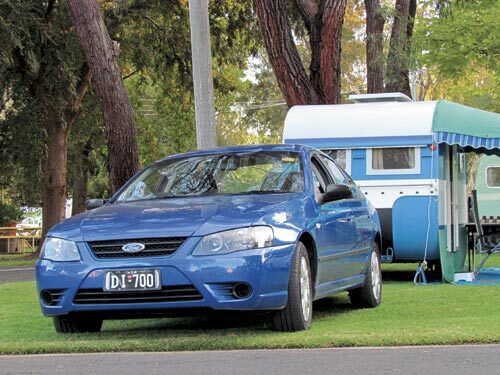 Mark tows the caravan with a white 1963 Valiant, which is a good match with te caravan, in colour and period. 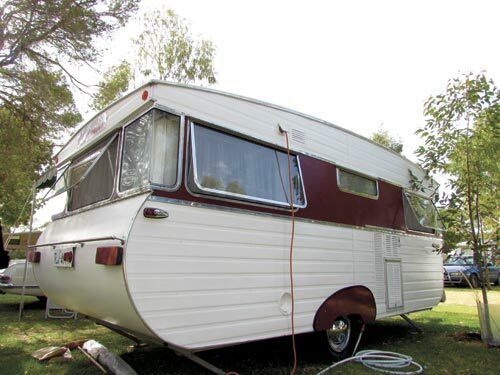 It also matches in place of manufacture, as both the caravan and car were built in Adelaide. 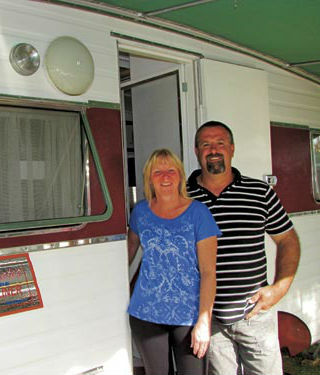 Mark and Tracy mostly use the caravan for short weekend trips around South Australia. 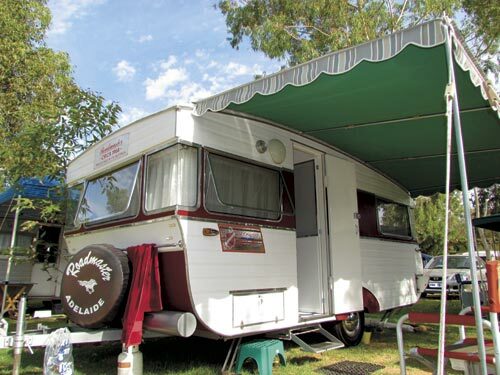 Most recently, they spent a weekend at Wallaroo at the northern end of the Yorke Peninsula to attend the popular Copper Coast Cornish Festival.